Green Leaf Lawn is known for creating the perfect holiday atmosphere for businesses, property managers and homeowners. We are the number one choice when it comes to installing, tearing down and storing Tulsa holiday lights for people just like you. Our clients continue to use us because we provide a stress-free opportunity for them this Christmas. They can better focus on shopping, choosing a tree and making sure their family members have a place to stay as they come in from out of town to celebrate the holidays. Call us today for your free on-site quote at 918-640-6405. We have the capacity to turn your home into a winter Wonderland. We talk with each client to catch the vision of what they’re wanting to do and what they’ve always wanted to do. With this we can measure, provide an estimate and turn your vision into reality. We hang up your Tulsa holiday lights and you don’t have to lift a finger. We understand the frustration that comes at the holidays because everyone is so busy and the last thing you want to do is go through that water tangled holiday lights, trying to find that one bulb the does not work. 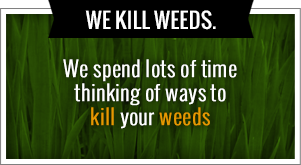 We help you out the season’s that you don’t have to stress about it. We also have the professionals and the well-trained Tulsa holiday light technicians they can install everything you need from top to bottom. You can also have Garland, pre-lit wreaths and other quality items that will create the ideal holiday atmosphere for your home. When Christmas rolls around Green Leaf Lawn turned into a full-fledged operating system hangs of lights all over the city of Tulsa. This is your opportunity to impress your neighbors and to stand out from the other businesses that are attracting busy Christmas shoppers. The lighting professionals are waiting for your phone call and are ready to give you a quote today. The ultimate goal of Green Leaf Lawn is to help those during the holiday season hang up there Tulsa holiday lights. We want to make this holiday experience easy and simple for you by taking care of hanging up all the lights and outdoor decoration. We hook you up the professionals and technicians who know exactly what they’re doing from start to finish when it comes time to install those lights. Experience the quality, the customer service and the professionalism of Green Leaf Lawn even they’re not taking care of weeks. Getting to contact with one of our Tulsa holiday light professionals and it your free quote today. We want you to have a great Christmas this year and we don’t want you to take up any more time trying to untangle those lights. Green Leaf Lawn installs but we also store with the lights so that their ready to go next holiday season. You can have the brightest in the best house on the block this year. You can stand apart from the other businesses and you can light up your property high quality Tulsa holiday lights that join together to make an ideal Christmas atmosphere. When it comes to your Tulsa holiday lights there’s no better installer professionals or technicians than right here Green Leaf Lawn. We provide everything you need to turn your home, business or property and to the most remarkable winter Wonderland in the city. It’s time for you to get serious about not risking your life on top of the roof this year. Allow our technicians, designers and professionals to hang up your Tulsa holiday lights this year. Give us a call today at 918-640-6405. This Christmas could be the easiest and the best one yet. Our goal is to help you as soon as possible. 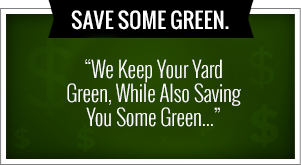 You shouldn’t half to do all the work this year when Green Leaf Lawn is only a phone call away. We have the train lighting installation professionals who can create the ideal holiday atmosphere for your home or your business. We connect you with the professionals, the designers and the technicians who can install those holiday lights, garland and pre-lit wreaths turn your home into the North Pole of Tulsa. Make Santa Claus proud by having those lights up and having them sparkle. We understand the frustration when it comes to hanging up Tulsa holiday lights. It’s not just a matter of getting the lights and hanging them up. You have to go deep diving into the attic or the garage looking for that box that you swore was labeled. You then have to pull out the tangled wad of Christmas lights that may or may not still be working. When you choose Green Leaf Lawn you choose to have your Tulsa holiday lights professionally hung up and stored after the holidays are done. We provide a free estimate for every homeowner, business owner and property manager who is looking to avoid risking their lives in an attempt to hang up their lights. This quote is very simple. One of our team members show up, take measurements and even offer creative suggestions on how to make it the best it can possibly be. We had the experience lighting crews and we can also connect you with designers who can install that holiday garland and pre-lit wreaths. We also can hang lights for Christmas and holiday parties no matter what it is they are looking for. We help make your vision a reality. We are there step-by-step hanging up the lights so that you don’t have to lift a finger or worry about a thing. For our assistance in helping you hanging up Tulsa holiday lights this year please give us a call or visit online to find out more information. It’s known that we provide excellent long care during the summer and the spring but during Christmas time, we are the elves that hang the lights up. Mark hanging up Christmas lights on the house or business off the list this season. We will have those lights up very soon and have a beautiful holiday atmosphere waiting for you.